The Accountants′ Handbook series has the longest tradition of providing comprehensive coverage of the field to both accounting professionals and professionals in other fields who need or desire to obtain quick, understandable, and thorough exposure to complex accounting–related subjects. It is designed as a single reference source that provides answers to all reasonable questions on accounting and financial reporting asked by accountants, auditors, bankers, lawyers, financial analysts, and users of accounting information. Comprehensive content provides analysis on over 40 critical areas of accounting. 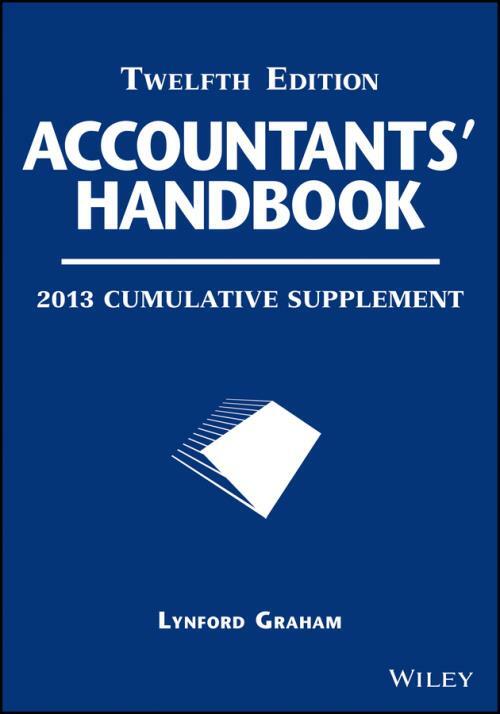 Written by nationally recognized accounting professionals, including partners in major public accounting firms, financial executives, financial analysts, and other relevant business professionals, the specialized expertise of the individual authors remains the critical distinguishing characteristic of the Accountants′ Handbook, Twelfth Edition.